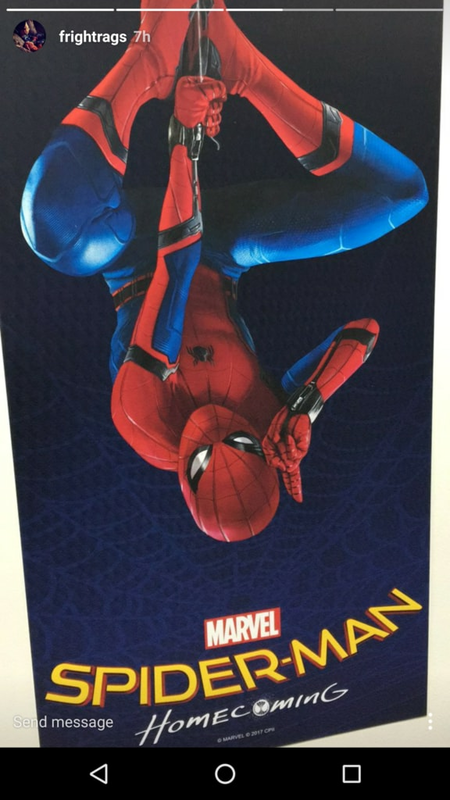 An Instagram story post seemed to reveal the first look at the poster for the upcoming “Spider-Man: Homecoming” starring Tom Holland. The poster was seen on the floor of fashion trade show Magic Las Vegas which is a three-day event for apparel vendors being held at the Las Vegas Convention Center. Holland is currently shooting “Homecoming” down at Pinewood Atlanta Studios. Michael Keaton will play classic Marvel villain the Vulture. “Spider-Man: Homecoming” was written by John Francis Daley and Jonathan Goldstein and will focus on Peter Parker’s adolescence. The writers are believed to have infused the superhero film with the spirit of John Hughes‘ classic high school movies. The cast also includes Marisa Tomei, Donald Glover, Logan Marshall-Green,Martin Starr, Hannibal Buress, Abraham Attah, Zendaya, Tony Revolori, and Angourie Rice. A rep at Sony has not yet responded to TheWrap’s inquiry to authenticate this image. “Spider-Man: Homecoming” will be released on July 17, 2017. 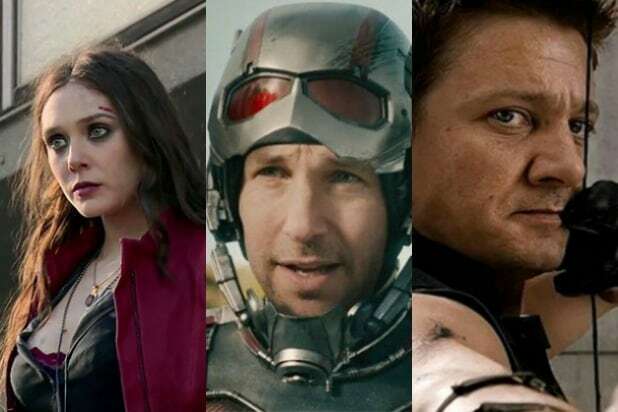 We ranked all the enhanced humans in "Captain America: Civil War." There's 12 of 'em, which is more people than I know in real life. If you want jokes about how susceptible to peer pressure the Winter Soldier is, you're in the right place. If you want a real discussion of who these armies of superheroes then click on our Who's Who explainer. Not nearly as much fun as when he was called Iron Patriot in "Iron Man 3," probably because he has to spend most of this movie standing in political solidarity with Tony Stark instead of constantly busting his balls. Tony Stark doesn't have kids, but he's definitely treating the rest of the Avengers like they're his rebellious preteen offspring here. Come on, Tony, lighten up. What a goofball, walking through walls when he should be using doors. He kind of spends the whole movie being an overprotective dad to Scarlet Witch, though. Not cool, robot man. Actually a dad, Hawkeye disappointed his kids by skipping out on the family vacation to participate in the superhero royal rumble. At least he acknowledges it. Doesn't really know what's going on, is constantly being emo, and is susceptible to peer pressure in a big way. Sounds like somebody needs to have a talk with him. Accidentally blows up a building to kick off the central conflict of "Civil War." Whoops. As always, teenagers have to learn important life lessons the hard way. She's not really a teenager this is just a metaphor. Remember that time Captain America was totally wrong about something? Oh wait, that never happened ever. And yet 117 different countries are giving him a hard time here. Sure, let's trust Tony "my bad dreams almost made me destroy the world" Stark instead. She's Captain America's BFF, or is she? She's #TeamIronMan, or is she? Honestly, "I'm not sure which side to go with here" is probably the right call for most of these secondary folks. She could be nicer to Falcon's robot bird, though. He's got a remote control robot bird to play with this time, and it's awesome. I retroactively like "Captain America: The Winter Soldier" less now because of its lack of the robot bird. He's a superhero who's super pissed off and manages to hold his own both in combat and as a screen presence against all these other people we've had around for a bunch of movies. No small feat, that. Does not take this superhero melee seriously at all. On the other hand, he is actually a child so we can give him a pass. Also, he's really funny. If he wasn't behind on his homework, he might have had a shot at the top spot. Just pops up in the middle of this super dramatic movie and just refuses to say anything with a serious tone. And yet he manages to play probably the most key role of any member of #TeamCap during the big showdown. He's the best and there's really no debating this. Sony Titles Tom Holland’s ‘Spider-Man’ Movie, Unveils Clip Featuring Robert Downey Jr.